The following four strategies are the commonly applied treatments for trigeminal neuralgia: drug therapy, nerve block, surgery (microvascular decompression), and γ knife radiosurgery. The first-choice treatment is drug therapy using carbamazepine. However, for patients whose pain is not controlled despite administration of the drug and those who are allergic to the drug, one of the remaining three treatment strategies is selected. 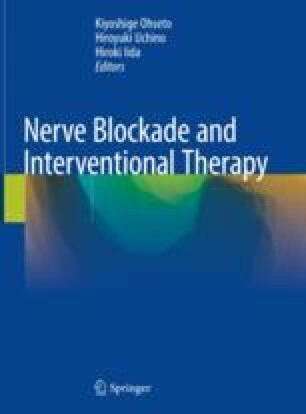 Among these strategies, nerve block is effective even in emergencies and is performed to block the peripheral trigeminal nerve branches. Young patients and those who request surgery are referred for surgery. When nerve block is performed, the main principle is to control the pain combined with small doses of drugs. Moreover, when pain recurs in patients treated with other treatment strategies, nerve block is the last choice.